Gift bags conjure up ideas of company-branded Frisbees and pin-back buttons, water bottles and pens. It’s all quite predictable, so when we have an opportunity to do something different, that’s when the most fun happens. Wouldn’t it be fun to build swag bags around these great, unpredictable swag items? Having your event in a major metropolitan city? Give your attendees a city plate! I’m not a plate-on-the-wall girl, so it would be fun to use as a cheese plate for your next shindig or serve as the backdrop to that delicious dessert! Having your event at a yacht club? Hosting a nautical-themed party? 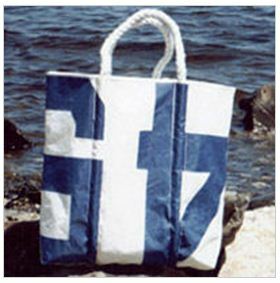 Sea Bags are the perfect carryall tote that your attendees can use again and again. Want to take this theme to the next level? Stuff the bag with Sperry Topsiders, throw in a splash-resistant anorak and roll up a beach towel. Throwing a baseball themed event? 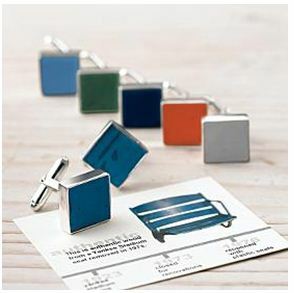 Why not get your male guests some commemorative cufflinks from the ballpark? Crafted from the salvaged seats of America’s most renowned stadiums, your guests could wear a piece of baseball history – original paint colors and all. Hosting an event with international attendees, or throwing a party in a foreign city? 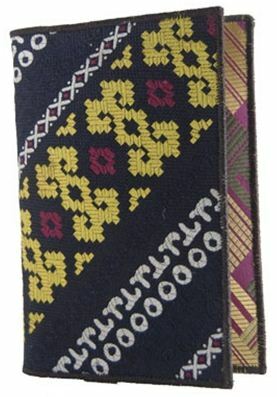 Give guests the gift of these colorful passport covers made with recycled ties and they’ll never lose their passport among the multitude of other things they’ve packed. Have you received unusually cool items in your swag bags? This entry was posted on September 10, 2010 at 9:30 am and is filed under Event Planning, Gift giving. You can follow any responses to this entry through the RSS 2.0 feed. You can leave a response, or trackback from your own site.